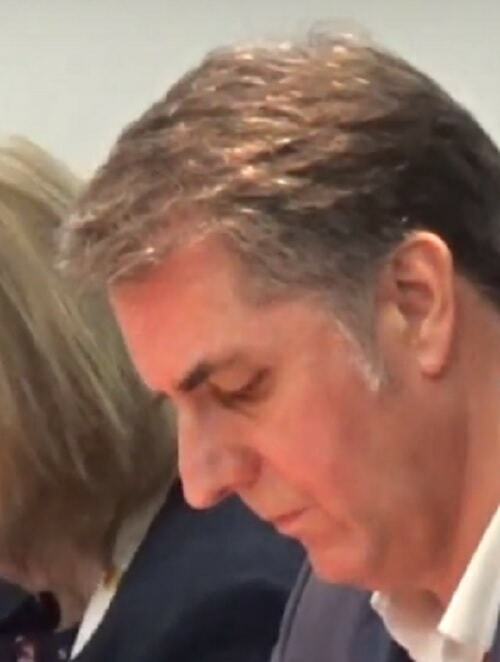 Last Friday afternoon, LCRCA (Liverpool City Region Combined Authority) Mayor Steve Rotheram (pictured above) proposed a budget for 2019-20 that included rises in council tax. Once proposed, his budget had to be agreed on Friday afternoon by others on the Liverpool City Region Combined Authority, such as the Leader of Wirral Council Cllr Phil Davies. Although according to the LCRCA constitution councillors are supposed to raise their hands when voting for, against or abstaining, those on the LCRCA just murmured “agreed” instead. The new council tax levels will run from 1st April 2019 to the 31st March 2020. Rises are also expected in the police, fire and council elements of council tax (although these matters have yet to be formally decided at the time of publication). Video of the public meeting that decided on it can be viewed below. « Why is the Minister directing how Wirral Council prepares its Local Plan and what are councillors doing? Council Tax up again! Can some one tell me what i get for this tax i pay? The streets/roads surfaces are a disgrace the same with the pavements, the grids are blocked up causing flooding as of last week with the snow, the roads where gritted but the pavements left so a record number of people ended up in the A&E putting further strain on an over stretched health service, the street lights don’t work, bollards off islands missing, street signs missing, bins never collected, library’s closed, etc etc etc what am i paying for???????? They should be reducing the tax! unfortunately we are now paying for Liverpool city region! Something none of us have voted for yet we now have the privilege of paying for more police in Liverpool and funding projects in Liverpool. And only a week or so ago they hold a meeting about spending money in the Wirral for the Wirral! Well people registered to vote in 2017 got a vote in 2017 for the new LCRCA Mayor. He’s the one who proposed this budget. The Leader of Wirral Council Cllr Phil Davies has decided to leave in May, so he won’t have to face the public in an election. £300,000 of the extra money is to be spent on the Wirral Borough of Culture Award. So it’s not just to be spent in Liverpool! As every cloud has a silver lining though nobody has to pay extra council tax because of the LCRCA budget until 1st April 2019 (April Fools Day). The Community Wealth Building Conference was at Birkenhead Town Hall, I was in the same room a few hours later curious as to what the flipchart asking people at the conference to mention CWB on Twitter were about! I agree with all that said in the above post. Not all roads were gritted in Runcorn. We never see a councillor. No information about the money for this new tax. The money for the Liverpool City Region…what is that money for and why were we not consulted. What a shambles is Halton Borough Council. I’ve no idea what the answer is to your point about consultation by the LCRCA in Halton. From memory there is usually a requirement to consult before setting council tax although I’m not sure how the LCRCA did this externally (rather than internally), but councillors from Halton would be on the LCRCA committees that have oversight of the LCRCA budget. Interesting and most interesting. Good to know that citizens of Cheshire are forced to provide services for Liverpool…I’m very angry. As the LCRCA is based in Liverpool City Centre I would guess that most of the jobs this funds are based there too in a building providing business rates to Liverpool City Council. The City of Liverpool also seems to receive a lot of funding from the LCRCA for projects too for example the funding to the changes to the Cruise Liner Terminal in Liverpool.